For over half a century, Azlon® has been synonymous with reliable laboratory plasticware making Azlon one of the most widely known brands in the world. 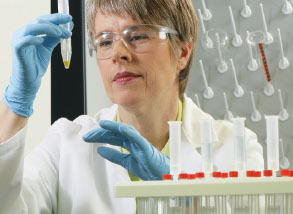 Azlon reusable plastic labware covers a broad range of applications in the modern laboratory. With over 800 products in the range, including storage bottles, wash bottles and volumetric items in a variety of plastic polymers, the Azlon range encompasses all the plastic essentials needed for traditional science, food and industrial applications. Stock up today and save on your reusable plasticware essentials. This promotion is open only to customers in New Zealand. Pricing valid until June 30, 2019. Specifications, terms and pricing are subject to change. Please consult your local sales representative for details. © 2019 Thermo Fisher Scientific Inc. All rights reserved. All trademarks are the property of Thermo Fisher Scientific and its subsidiaries unless otherwise specified. Azlon is a trademark of SciLabware Limited.